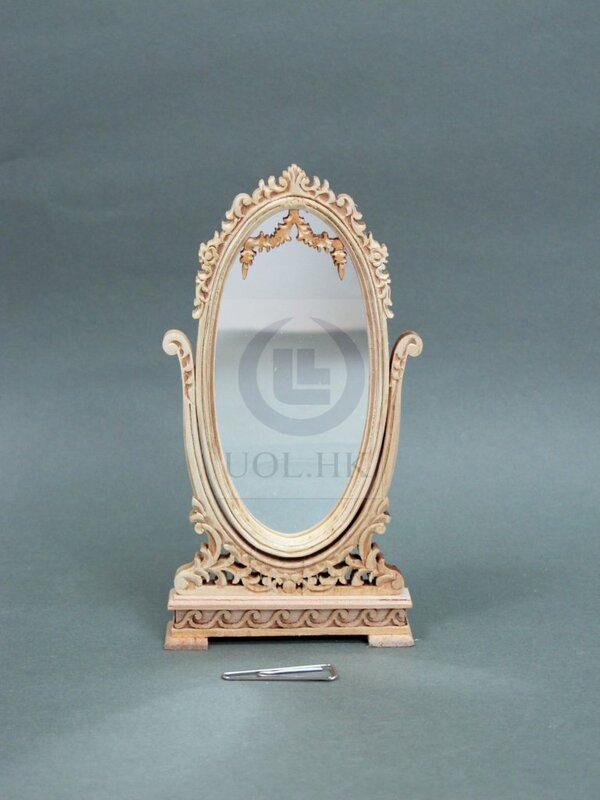 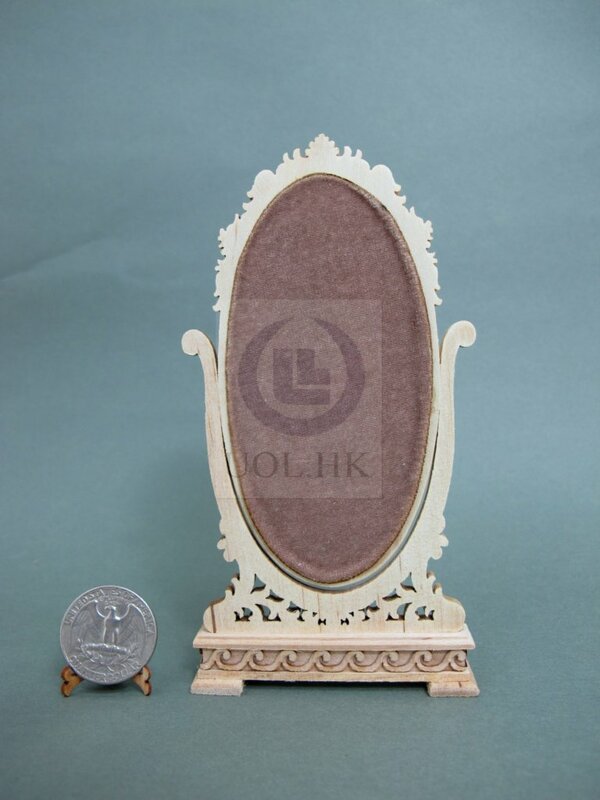 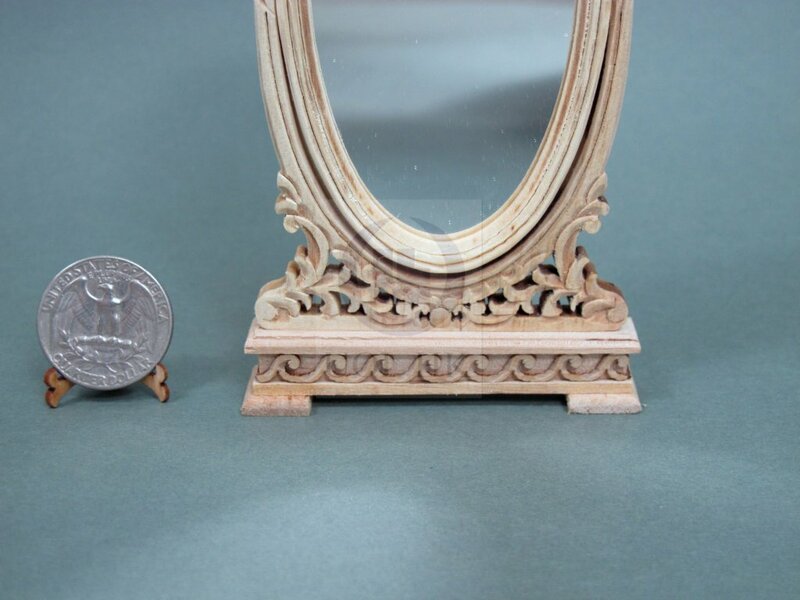 Free-standing acrylic mirror with adjustable tilt. 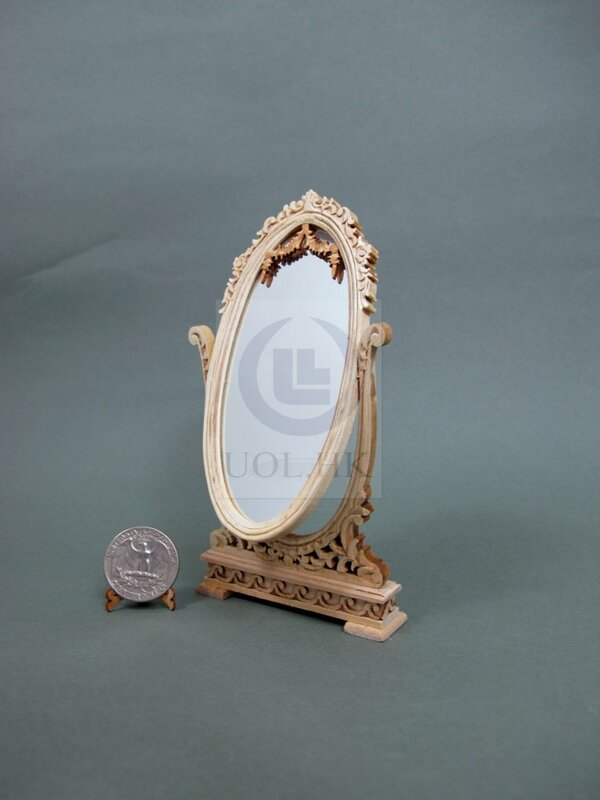 It made of wood, hand carved details,assembled but unpainted. 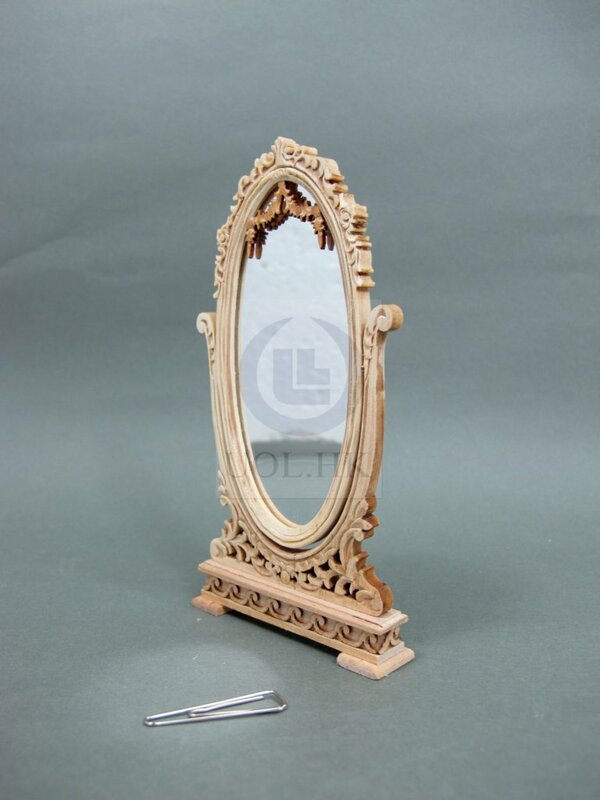 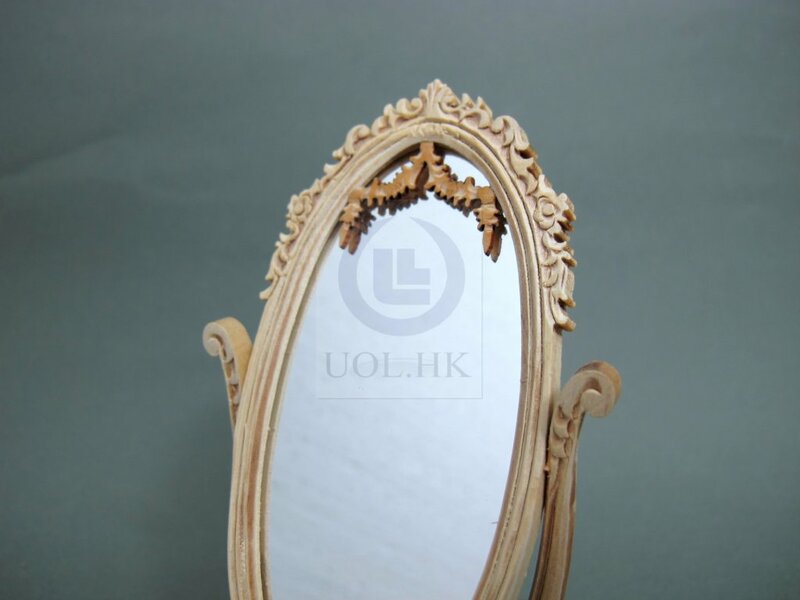 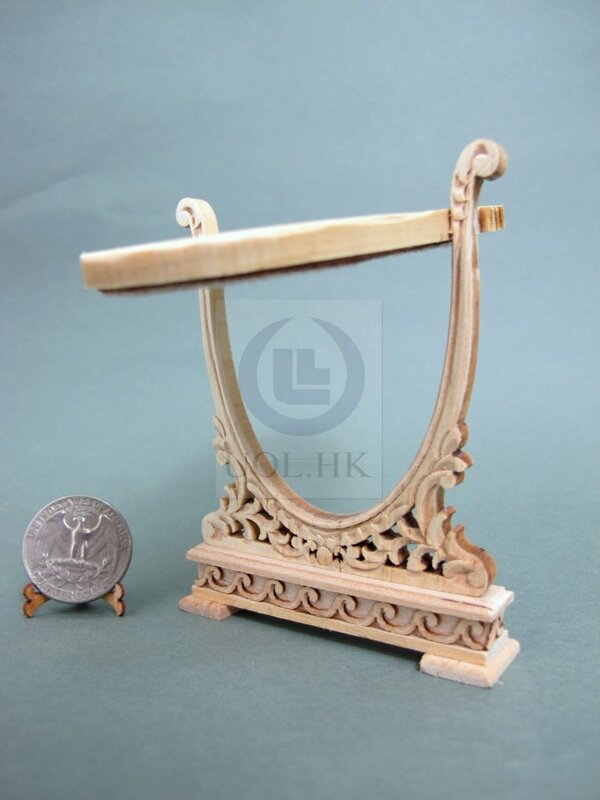 Unpainted item made with raw wood. 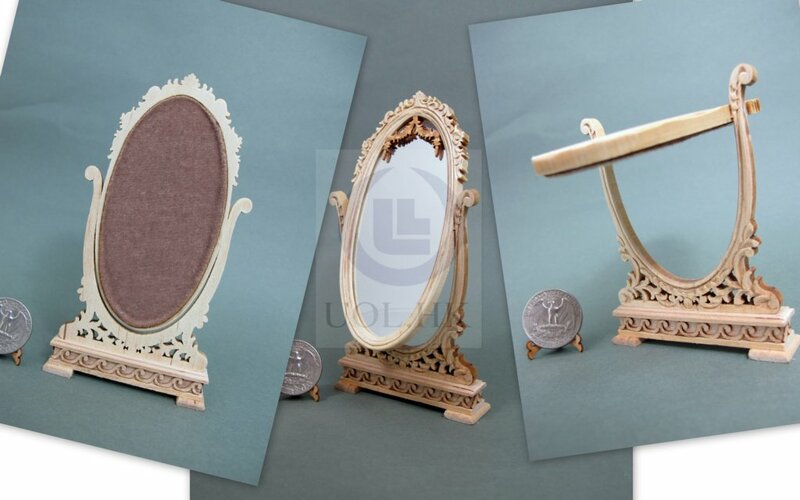 won't same color each piece.You may see difference nature wood color on item.